Once again we participated in the Conservation Foundation-sponsored DuPage River Sweep. 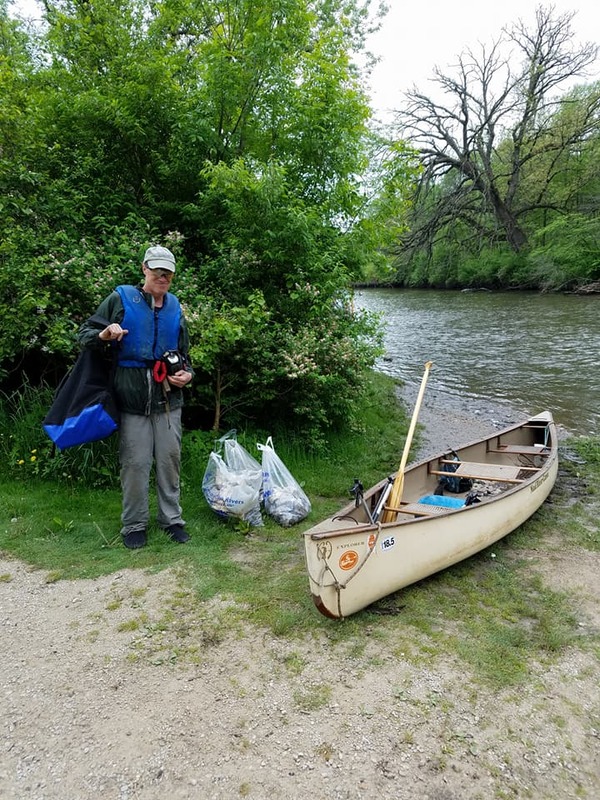 A chance of thunderstorms was predicted for the county-wide cleanup, but the weather cleared in plenty of time for our morning work on the West Branch of the DuPage. The West Chicago gauge registered about 40 cfs @ 4.05 ‘ ht. Trip Leaders Ray and Dawn Ziemer were joined by Doug Bosco at the Lions Park, Winfield put-in. 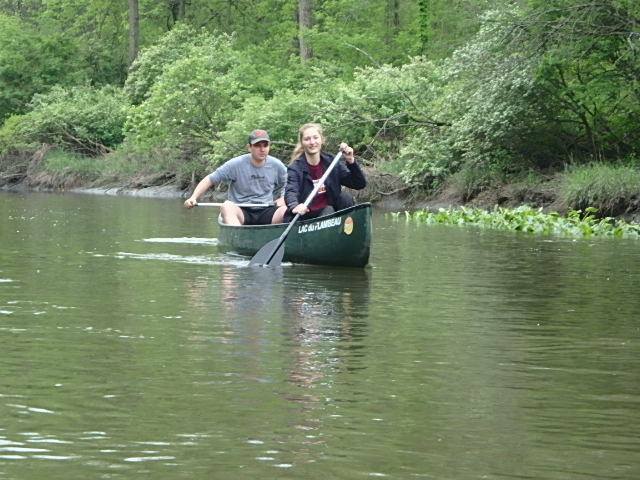 Water Trail steward Kathi Landow provided the driver return from our end point at the Mack Road canoe launch. We worked our way down through West DuPage Woods Forest Preserve, sharing the spoils with volunteers from the Winfield crew and a dozen recreational paddlers from a meet-up group just out to enjoy the day. 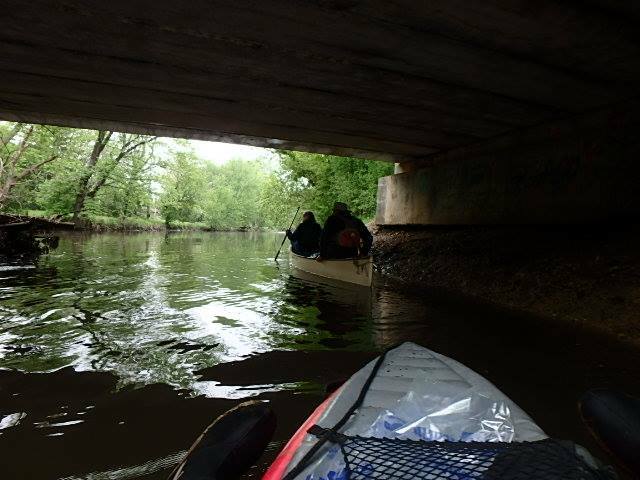 Doug in his inflatable kayak managed a solid haul of trash, and the Ziemer team also filled a few small bags. We weren’t surprised to find the pickings somewhat slim, much of the loose trash having been washed downstream by recent high waters. The muddy flow also makes it hard to spot tires and larger debris on the riverbed. Warrenville’s ground crew led by Daniel Elvira once again did a thorough job picking up trash along Ferry Creek. As usual, the Conservation Foundation supplied garbage bags, water, and grabbers for our crew. Thanks to everyone who helped out on water and land, to make the 2018 DuPage River Sweep another successful day.